← Wanna Know Patrick Stewart’s Favorite Website? Nobody calls Nic Cage ‘some idiot’ on my watch, lady. Well, except you I guess… since you just did. Something tells me she won’t be buying this amazing blanket anytime soon. 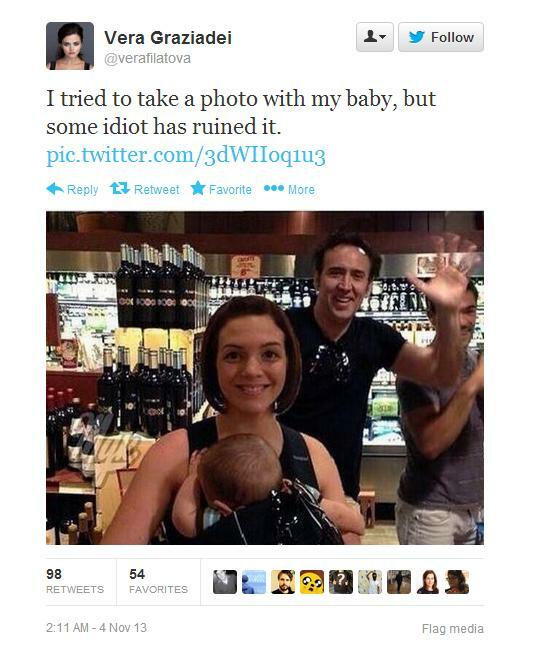 This entry was posted in caption contest, Celebrities and tagged nic cage, nic cage photo bomb. Bookmark the permalink.